Another Superman movie has just opened. I’ll probably go see it. I like Superman. What’s not to like? He’s a cool guy. But what puzzles me is how some churches are using Superman to promote Jesus. I kid you not. Now I love dissecting movies to see how they convey timeless messages of love, redemption, and grace. It’s one of my favorite past-times. But I don’t know that I would tell my kids to go to a Superman movie to learn about Jesus. That’s like going to a boy band concert to learn about Mozart. Fact is, Jesus is infinitely bigger, better, and greater than Superman and every other “god” we may create out of our imagination. Indeed, this is what makes Jesus so cool. He’s more magnificent than we can comprehend. He’s beautiful beyond words. 1. Jesus is human. He’s one of us. He gets us. He became one of us so that we might be as he is (1 John 4:17). There will only ever be one Superman but Jesus makes everyone awesome. The Son of God became the son of man so the sons of men might become the sons of God. 2. Jesus is God with us (Mat 1:23). He’s not remote and unapproachable and he doesn’t live at the North Pole. He lives in the House of Grace, not the Fortress of Solitude, and his home is open to all. 3. Jesus has a better Dad. God vs Jor-El = no contest. Jor-El couldn’t even save his own family of three; God saves billions. 4. Jesus is fun. He has friends of all stripes. He’s not aloof and unrelatable. He doesn’t fly in and fly out. He abides. He sticks around (John 14:23). He’s the life of your party. 5. Jesus isn’t a glorified boy scout. He’s got better things to do than play policeman, like give strength to the weary, heal the sick, and do away with the sins of the world (Heb 9:26). 6. Jesus can raise the dead without flying dizzy loops around the world and messing up time for everybody. 7. Jesus isn’t conflicted. He doesn’t sweat the whole “how can I save everybody when there’s only one of me?” dilemma. He can save everyone. 8. Jesus is himself all the time. He doesn’t hide behind a weeny alter ego. He’s Jesus 24/7. When you need him, you can find him – anywhere, anytime. 9. Jesus doesn’t treat wrongdoers as their sins deserve (Ps 103:10). He doesn’t combat sin with violence but grace. He doesn’t fill prisons, he empties them. He turns enemies into friends, haters into lovers, critics into converts. How cool is that? 10. Jesus couldn’t care two-hoots about defending the American dream. He has a better dream, a kingdom-sized dream, and everyone gets to be in it (Rev 5:9). 11. Jesus can’t be defeated. Not ever. He’s not vulnerable to green rocks or rogue scientists. Not even death can touch him. 12. Jesus is better than anything we could’ve come up with. His love is immeasurable and his grace is abundant (Eph 2:7, 3:18). He’s already done so much that if they told his story in comic books, you could never collect the whole set (John 21:25). 13. Jesus is real. His story can intersect your story. And when that happens you’ll see that it’s no contest. Jesus is the best! That’s my list. Feel free to use it in youth group this Friday night. And feel free to write in below and tell me what I missed. ok ok so what if i posted the fox story about them saying the new one had christian themes,ya had to spoil my fun,i probably will go see it to, what I like to see is the positive themes,superheros always step up to the plate.in this day and age thats good. When Jesus is helping me, he doesn’t fly off if his “favorite,” Lois Lane is suddenly in danger. I don’t think the Son of God has favorites, although it seems the human part of him enjoyed the company of the Sons of Thunder and the Rock more than the other disciples. Haha this is awesome. There is no relation to superman and Jesus. Not every inspirational character is a type of Jesus. I did however love this movie. I love movies that can tap into kingdom emotions. For me, it taps into significance and humility. He is this powerful being and since being so, he knows he must restrain himself. Also, he is called to change the world, like every believer, we are called to make a difference. If only we could get rid of this false humility and realize we are powerful beyond imagination, not by might, not power, but by the spirit of God. Great exploits would be done, not out of duty, but out of the intoxicating love wine that compels us. 🙂 YAY! Hey I think EVERY inspirational character is a type of Jesus. He is Good. Everything good thing comes from God. If I am inspired by a character to do Good, then it comes from God. Adam Luckey, the whole restraint thing is good. But I’ve also seen the Jesus who never said we need to try harder. It’s like he doesn’t have a Proverbs 31 list for us to live up to. While I agree with you wholeheartedly, I also think it’s awesome if making this comparison gets people (especially young people) introduced to Jesus as their personal Savior and SAVED! Our God can use anything, even Superman! Kids can relate. Definitely, Diane. We become all things to all people so that by all possible means we might win some. What more need be said. This is awesome! Can we copy and paste and share your articles? You sure can Ann. The easiest way is to click the share button under each post. Jesus didn’t take so long to learn that you wear your underwear inside? Still great movie! Although Churches should never encourage any secular movie. Hollywood dreams of Jesus. Many of the superhero stories were copied from the Bible like how Superman was 33, lived a normal life, came from another world (krypton/Heaven). Hollywood is out of ideas. Does this mean we should encourage people to see this, no. I think it is ok to walk into a movie and talk about Jesus while watching Man of Steel. It’s a very good way to break the ice to a unbeliever. People preach using illustrations, you have to, so if people speak about superman to grab people’s attention, by all means go for it. I like your Superman E2R logo. Superman was created by Jerry Siegel and Joe Schuster, they were Jewish, so that’s probably where the “El” reference comes from. I’m starting to get a feeling that I can’t watch or listen to anything because it’s somehow all bad. I guess I have to sit in an empty room and wait to die. So much for stress relief. Btw, Jesus IS better than Superman, Jesus never snapped anyone’s neck. The best “secular” movie I’ve ever seen was The Mission. Some incredibly powerful symbolism in that film. The soundtrack still brings tears to my eyes. I know…it has nothing to do with Superman; I just wanted to plug one of the best movies I’ve ever seen. I felt the same way Irene great movie and soundtrack,Denaro and Irons great actors,Lots of good movies out there. 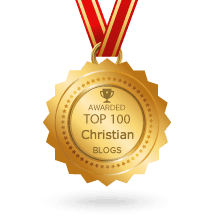 Wow…..this is an unusual post. I love it and so interesting written. You have outdone urself Paul. Never expected a post like this so you are rather uniqe in that you switched. This post caught me by surprise. I however absolutley love all the superman films and serious like Small Vill. I do compare some of the attributes of Superman to Christ but not all cuz Christ is infinatly greater. The same way I love Spider man and all the other superheroes movies. I think it is because they have many of the characteristics of our great and wonderful Saviour. You would think they was born sinless. They don’t lie, they don’t steal, they don’t take advantage of the vulnerable, they love to help people, in fact, they live for it and they make the world a much better place. Compare those films and series now to our regular horror, thriller, action and comdey. I love them all apart from horror and Super man and Spider man comes out on top cuz they world deep in their hearts wants to see those wholsome characteristics in everyone especially leaders of the nations. I would never stop loving watching Super man and Spider man. Very unusual but fantastic films and thank God you don’t really witness sexual activities which are rearly caked in horror, thriller and action. Pardon my English Paul, I think I wrote my comment to fast and made some mistakes.. I meant to say that the world not, they world lol; desires to see wonderful morals and characteristics in others; especially leaders of the nations. they want to see people helping others and sexual activities are laden with horror, thriller and action films but not or hardly in syfi films like Spiderman, Superman. Good summation Paul. Hollywood likes to flatter itself with the movies it makes, which are all speaking secretly about the hidden agenda of mystery Babylon in some way. For instance, Get out “The Patriot” from the video store. In the opening minutes while the credits are still on the screen..Mel Gibson’s character is weighing a rocking chair he has made in his shed. He has his back to the camera and we hear him very faintly mutter…”9 pound 11 ounces…perfect..just perfect”….The original script did not contain those words, I checked. The movie came out in 2000 and the script was written in 1998….but 9/11 was perfect, just perfect for the Neo Cons to bring all of the USA under the Patriot Act. I know it’s off topic a bit, but hey, Hollywood produces food that binds and blinds. Very well Said. It seems that these Mega Churches accross the states worhsip a false Christ, a Christ of their making. No wonder, when all is said and done, that at the very end, the Lord himself well say to these, depart from me,… I never knew you. Frank, i never heard of this in my life, until I saw this blog, mega churches pursuading Believers to watch Superman. I need to know more. I love Superman and Spider man and all other herose; but I never see them as Christ. I love their characters, high moral standards. Cuz its rare seeing it in other kinds of movies so I love it. If those churches are telling them to watch the movie cuz you are watching Christ, then I can understand why you are so against it, if not, then why do you think? 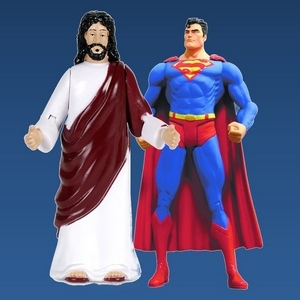 Jesus ‘better’ than Superman? One only needs to read the New Testament to know the obvious answer. Jesus is not ‘better’. Jesus is the Best. The proof of this in a born again believer’s life is no desire to even enter the theater to see the movie. U kinow, im reading many of the comments and its like, hold on, I appreciate people holding up the Lord as the ultimate Saviour and power an all but, I’m sure Believers that watch Superman are not thinking, replacing or worshipping Superman from Christ. I’m sure we know who the real saviour is, Christ Jesus but Superman is just a fiction and not real but its nice towatch cuz it is different from watching other movies that promotes far more evil and destruction. There are Christian movies that are great; such as the 10 comandments, the passion of Christ, Moses, and such like them. Then there are the modern day Christian movies that promotes a lot of religion. It leaves me feeling deflated but Superman who always saves the day, makes me feel better. It is just a fiction and as long as one is strong in the Lord, drinking the word daily, I can’t see the harm in it as long as were not worshipping Superman. Or may be i’m wrong and if I am I stand corrected. FIFI,I think your ok on that,like superman,enjoy superman,if you start to worship superman,the lord will let you know,personally I think the special effects are amazing. Yes Earl Vordenber, I feel the Lord will let me know too; and thank you. I too love the especial effects, it’s surreal. I am turned on by the effects and SUPERMANS decent character/high morals; but unlike Christ, he has made mistakes. you know when I was a kid and i watched all my favorite tv heros ,I used to worry if they would make it,or survive,and my mother would say, ya he’s going to make it,he has to come back for next weeks episode,and bang back to reality, its a movie bros and sisters,if you get something good out of it,good if not you wasted your money,we are not getting graded on it,agendas,you betcha,tangled webs,HOLY SPIRIT give me the wisdom to see it,that’s all we can do,fight it when you can,let the TRUTH shine some light on it.I believe if we know how saved we are the Lord is going to keep us. labor to rest, dont get to confused. I think there is a subliminal message from the film that it is not Christ like at all. Superman is an alien and as such, he saves the human race from Zod, but it alludes that he will probably have a relationship with Lois Lane, which means there could be children which means they won’t be human, they will be half kripton and half human. Which means it is a different type of taking over the human race, it would be like a genetic armageddon. Jesus was 100% human and 100% God and he died for the 100% human race. So the movie is saying: it is OK to breed with aliens!!! Susan Andrews, it depends why people watch Superman, what appeals to them and what they get out of it. Some watch it cuz its original, some cuz Clark Kent is sooooo handsome, Some cuz they get a thrill out of theDynamics of the relationship between Louis Lane, her cousin and Clark Kent and others cuz the nature of Superman is so nice, cuz he is a decent man and they like all the supernatural flying in the air and lifting heavy objects to save just one soul who is worth saving. I think most who watch it are smart enough to know that Christ is greater and it’s only fiction after all. I hate it when that happens ha ha,there are enough people that THINK,we are crossed with aliens, some to close for comfort. there are to many people [mad scientists also] in the world trying to take over the human race as it is,,i am glad Jesus is seating at the right hand of the father,until his enemys are made his footstool. Hollywood screenwriters, actors and producers would do well to bow the knee to Jesus Christ … something they are not even willing to do for their own ‘super-heroes’ …. unless the box office receipts are high. The super-hero ‘imitation’ is the greatest form of flattery, but it will not save the soul. Only Jesus Christ truly ‘saves’. Josh, thanks for your thought-provoking comment. I had to trim it to get it past the censors. I don’t like doing that but those guys are tough. They wanted to delete it. I had to beg them to let it through. Please make my life easier and check out E2R’s Comment Policy. Thanks for this article, Paul. I like Smallville. Initially, I was intrigued and yes did initially compare him to Christ. I was fascinated by the enormous restraint he shows. But then the more I watched the series, the more I realised how dare I compare him to Christ? There’s no comparison. Period. Rather a complete counterfeit just like the Anti-christ will be. In my opinion, these super hero movies are made and regularly released to prepare people’s (sheeple’s) minds to receive the Alien antichrist. It’s all about fallen angels and humans just like in the days of Noah. In the story, Clark Kent is from another planet making it illegal for him to be here on earth let alone, dating a human female ( does this ring any bells Gen 6). Yet we sympathize with him and really want him to get the girl! Exactly what the makers of the movie want us to feel! I could go on and on…. the deception these last days is mind-boggling to the point where people don’t believe the truth anymore. Superhero movies, makes it more palatable for people to accept these so called Aliens (aka demons and fallen angels) who not supposed to be here. There are powerful subliminal messages they are conveying and I am not surprised that some mega churches are fallen for it. More and more of such movies will be released as the time draw near. In fact in season 10 of Smallville, last episodes have a theme of FALSE rapture, people have a mark on their foreheads etc. This is highly occultic and meant to deceive especially Christian believers. You can watch it for yourselves. The whole Smallville series is an eyeopener. This is a big BIG problem because some of the adults don’t know who JESUS CHRIST is and now you are comparing Him to superman. Lets get one thing straight and that is superman saved the old man but on the other hand JESUS saves the new man and if you re a true follower of GOD then you would know what I am talking about because the word of the Lord is a mystery to the men of the world but not to the children of God. Superman doesn’t expect you to worship him or send you to hell if you don’t – so if nothing else, Superman has superior morality to Jesus. Jesus doesn’t expect you to worship him either (Mat 4:10, John 4:21) nor does he send anyone to hell (he said we get to choose our preferred future), so go figure. As for morality: Has Superman ever died for anyone? Did he ever die for his enemies? He might have saved the odd busload of schoolkids but Jesus saves a planet. It is impossible to argue with someone who believes they are an accident,someone who believes order comes by accident even though everything they sees tells the opposite, Who are you. Great…I loved it 😄 Jesus is my champion! I had to add some snippets. I am a “Schuster” But grew up Gentile Christian in a Jewish neighborhood in NJ. Now I live in Canada from whence Joe Schuster came and the first Superman comics where mostly propaganda supporting the 2 world war hate against Germans. Yes Superman went after Nazis in the beginning comics. Later I found that my family was probably German Jewish lol all the time I was a “goyim” ni Passaic NJ. Also remember that Superman comes from the German existential philosophers book Der Ubermensch by Friederich Nietzsche. His philosopy of “Superman” was a precursor to Hitler.